Dr. Gross grew up in Pittsburgh, PA. After graduating from Ohio State University College of Veterinary Medicine, she moved to Washington DC. She completed an internship at Friendship Hospital for Animals. After completing the internship she stayed on as a staff veterinarian there. 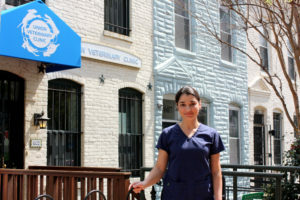 She worked as a relief veterinarian throughout the DC area after leaving FHA, but has been established as a full time veterinarian here since 2007. She is our Medical Director at UVC. She lives with her husband Ry, daughter Matilda, son Leo, dog Polamalu and cat Franco. Dr. Lehmann, a native of the Washington area, received her degree in veterinary medicine from the University of Minnesota. 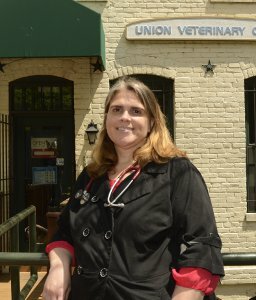 She completed an internship at SouthPaws Veterinary Specialist and Emergency Center in Fairfax, Va. and went on to practice emergency medicine at Dogs and Cats Veterinary Referral before joining Union Veterinary Clinic. Before studying medicine, she received her Bachelor’s degree in international environmental policy from the University of Wisconsin in Madison and later worked for a nonprofit on environmental issues at the New England Zoo in Boston. She holds special interests in internal medicine and emergency medicine. Dr. Cornett grew up in an Air Force family, living in a few different states before ending up in Louisiana, and earning her veterinary degree at Louisiana State University in 2004. After graduating, she served 4 years in the U.S. Army Veterinary Corps, taking care of military working dogs and service members’ pets in Japan, and working in combat casualty care research at Walter Reed. After leaving the Army, she worked 4 years at a small animal clinic in Charleston, West Virginia before moving back to the DC area where she has cared for small animals at various clinics in the area before joining Union Veterinary Clinic. 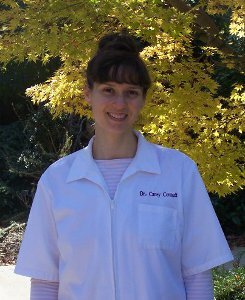 Dr. Cornett currently lives in Takoma Park with her husband, daughter, and two chinchillas: Jim and Bridgette. She loves cooking and going to all the great museums in the area. Dr. Mortola, originally from Canada, graduated from the University of Montreal Faculty of Veterinary Medicine. 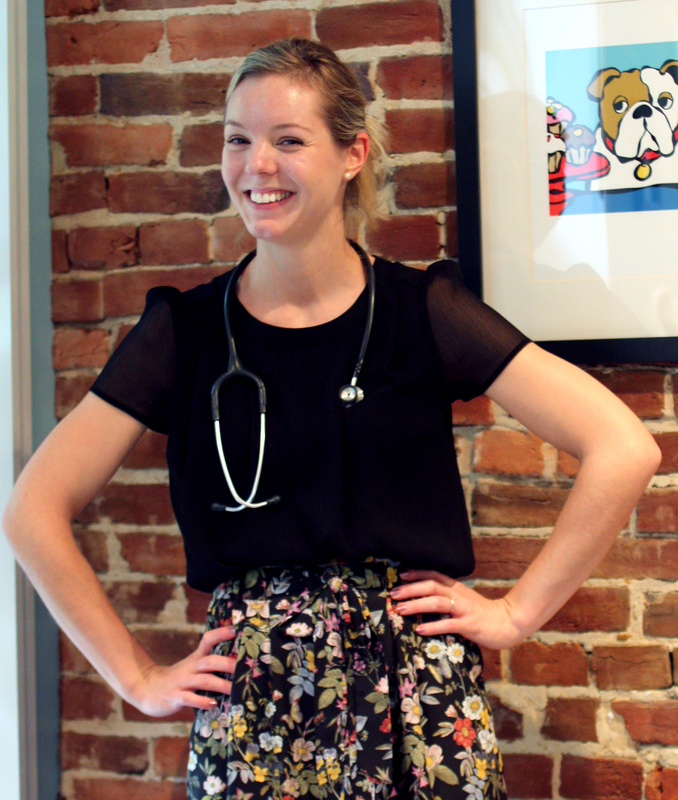 Upon graduation she practiced in the Montreal area in small animal medicine and surgery. Her professional interests include internal medicine, emergency care and infectious diseases. 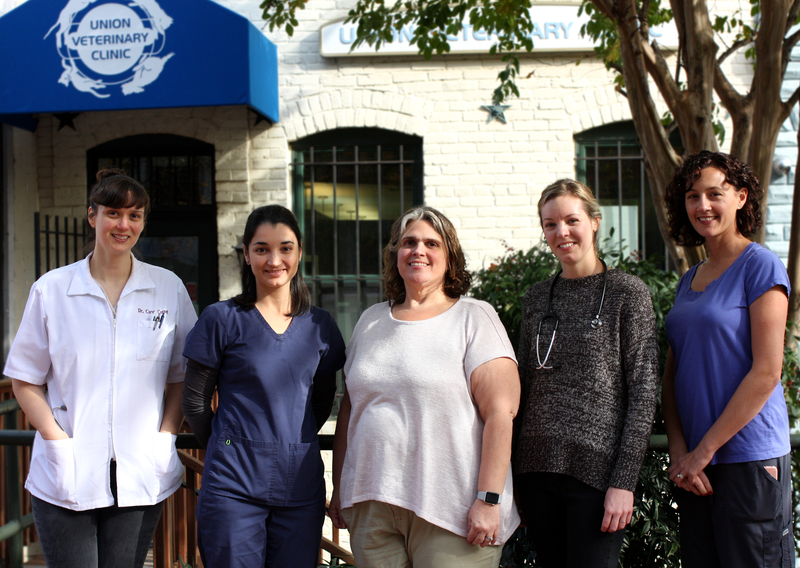 Dr. Mortola recently moved to the Washington D.C. area with her husband and three children and is thrilled to have joined the team at Union Vet. In her free time she enjoys cooking, playing tennis, hiking, and discovering all that D.C. has to offer. Dr. Stenner relocated from the United Kingdom. She graduated from the Royal Veterinary College and worked in private practice in London for seven years. During this time she returned to the Royal Veterinary College to take a teaching position. Dr. Stenner is a Royal College of Veterinary Surgeons advanced practitioner in Small Animal Surgery. She lives with her husband, two dachshunds and enjoys horse riding and travelling.